The typical break in the treadmill decks is about two-thirds of the length of the table, especially for users running on the treadmill regularly. 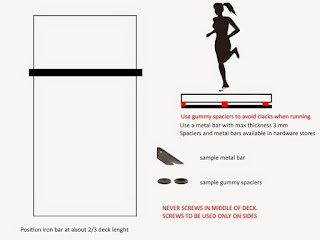 The breakage is due to the continuous stresses on the center of the deck, which is particularly flexible as the deck is an integral component of the damping system in domestic treadmills. To prevent breaking decks, it is possible to insert a reinforcement metal bar (max. 3 mm thick) isolated from direct contact with the table by means of rubber spacers. Both the bar and the spacers can be commonly found in hardware stores. 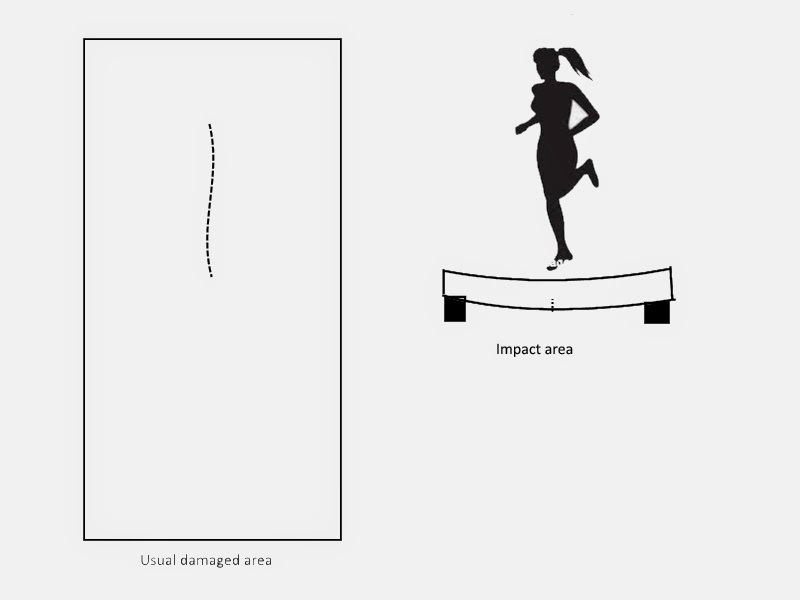 The presence of the bar reduces the flexion of the board, avoiding overextension and breakage. It is the same principle of reinforced concrete. 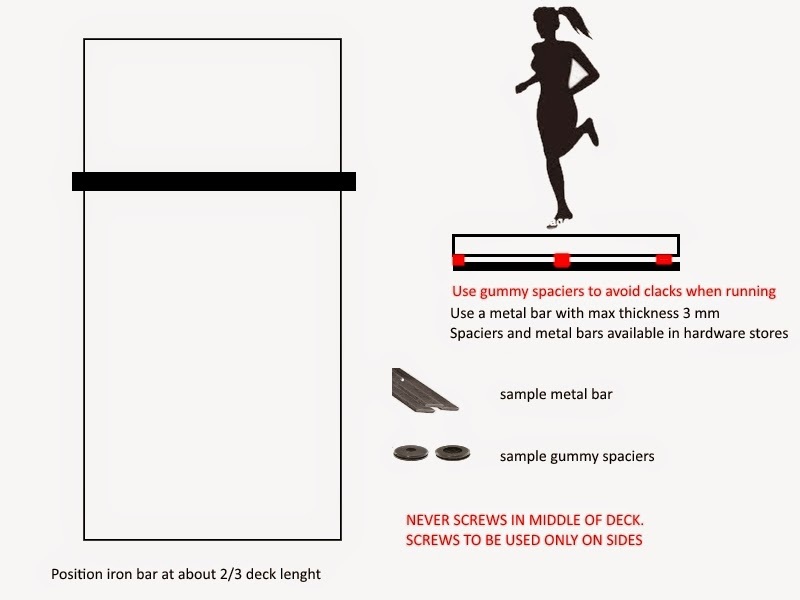 The bar can be fixed to the chassis or in some cases to the deck itself, using in this case passing screws (thus crossing the entire deck) and carefully inserting the screws in the center (the rubber gasket seen at the center in the diagram below uses only glue).